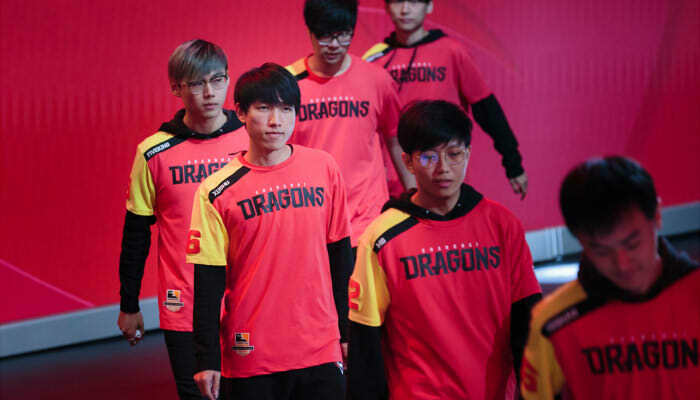 Shanghai Dragons Season 1 Roster — Where Are They Now? The Shanghai Dragon’s Season 1 roster was poor attempt at building a full Chinese roster and their 0-40 record polarized the community and media alike. Some people painted them as a laughing stock and compared their losing streak to traditional sports, while others found charm in their struggle and became fans of their massive underdog story. Where ever you fall on that fence, if you’ve ever wondered where the Season 1 roster went to after they were let go during the postseason, I’ve got a small guide to help you revisit some of your favorite Dragons members. Fromer flex tank for the Dragons, MG, joined Flag Gaming for their run through Overwatch Contenders Season 3 and had a wonderful season. With a second place finish directly under T1w Esports, MG and Flag Gaming absolutely leveled up this year. His D.Va play was paramount in a majority of their victories. For someone who went 0-40 in their last major event, MG looked like a standout player domestically. Whether he grew from his experience in the Overwatch League or his latent potential couldn’t be fostered in the Shanghai Dragon’s environment is unknown, but if he keeps this level of performance up -- he could easily see himself back in the Overwatch League as a part of one of the new Chinese expansion teams. But that’s not the only former Dragon that has joined the ranks of Flag Gaming. The newest addition to Flag Gaming has been the former Shanghai Dragon’s main support, Altering, who is now going by the name 130. While Flag Gaming has had solid support coverage in the past, adding some additional experience to their backline can’t hurt much and if anything this creates some inter-team competition for the starting spot. His first appearance with the team could come during the NetEase Esports X Tournament - Winter LAN event. It’s possible we could have another MG situation on our hands, seeing how Altering was one of the more lackluster members of the Shanghai Dragon’s, but until we see him in action, we’ll just have to wait and see what goes on. But reuniting with MG and having some amazing pieces around him, there is a good chance Altering may have a strong showing once the team gains their barring on the new patch. Former main tank for the Shanghai Dragon’s, Roshan, has gone dark since his time on Shanghai Dragons. He hasn’t popped up on any Open Division teams or any public Overwatch Contenders to my knowledge, so official information is pretty sparse. But we could see him possibly resurface on one of the new academy teams that will populate Overwatch Contenders China next season. Sadly Roshan isn’t the only player to seemingly go dark after their time on the Shanghai Dragons run through Overwatch League Season 1. The team's former support player Sky hasn’t seen much stage time since his time with the Dragons. However, he did play for the Chinese national team during the 2018 Overwatch World Cup and he looked to fit the team much better. From that you could speculate that the perception around him is still high, which bodes well for his chances at making a possible return on an academy team for one of the three new Chinese expansion teams. Xushu joined Legend Young Beyond for 2019’s Open Division Season 1. Unfortunately he was sent to the losers’ bracket by his former teammate, uNdeAD, and his new team nLw. Legend Young Beyond advanced to round 3 of the lower bracket before being eliminated by Team For Victory. Xushu and and his team placed 7-8th overall and missed qualifying for Overwatch Contenders Trials. Fiveking changed his name to SIO and joined the Shanghai Dragons’ academy team, Team CC. With a strong start to their season, SIO and Team CC looked to be a powerhouse in the tank heavy metagame, but as teams caught on to their aggressive style, Team CC failed to adapt. SIO and Team CC finished 3-4th overall for the last season of Overwatch Contenders for 2018 and 3rd place at LanStory Cup Hangzhou. China’s prodigal son, uNdeAD, joined LinGan e-Sports for Overwatch Contenders Season 2 after his stint on the Dragons. After being knocked out during the quarterfinals uNdeAD would join the first place Open Division team, Ambitious Immortals, as a coach. Now, uNdeAD look to make a resurgence as a player as he and his new team, nLw, have won 2019’s Open Division Season 1 and await Trials to begin. Freefeel changed his name to B612 and joined the veteran lineup of Young Kaiser Gaming.Red, who would later rebrand to ReStart. However the team struggled in Overwatch Contenders Season 3 and the auxiliary events that were proceeding at the same time. Now, with that said, Freefeel wasn’t the main cause of problems, on the contrary, he actually had a fairly decent performance all things considered. The Shanghai Dragons support line was always subject to a lot of criticism, but at least at the Overwatch Contenders level B612 looks to be a serviceable support player.